Greenville, South Carolina - Gamma Gamma Lambda ( ΓΓΛ ) Chapter of Alpha Phi Alpha Fraternity, Inc. has named Dr. Phinnize "Penny" Fisher, former Superinterntant of Greenville County as their 2013 Martin Luther King, Jr. Citizenship Award Winner. Dr. Fisher will receive the award at the 2013 Martin Luther King, Jr. Scholarship Gala on January 6, 2012 at Younts Conference Center at 3 PM. ΓΓΛ has been giving the award to worthy recipients for 34 years. Alpha Phi Alpha Greenville Foundation, a new public foundation - www.alphagreenville,org, is the new coordinating sponsor of the event, supported our major partners Furman University and General Electric of Greenville. A lifelong champion for education, Dr. Penny Fisher has served as superintendent of Greenville County Schools since 2004. She joined Greenville County Schools in 1996 as assistant superintendent for middle school education. Later, she served as deputy superintendent of operations and chief of staff before being named superintendent. Her peers are quick to praise her strong focus on children as her driving force in making difficult decisions, and believe that her greatest asset is her superb ability to connect with others on a human and personal level. 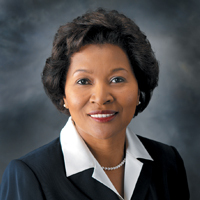 Accomplishments under her leadership include improvements in student achievement, district-wide national accreditation, completion of the BEST School Construction Program and development of the follow-up Long Range Facilities and Capital Improvement Plan, opening of the state’s first elementary school with a fully integrated engineering curriculum, expansion of choice programs that provide opportunities for learning while recognizing the important role of extracurricular activities in developing an individual’s full potential, and establishment of the Greenville County Schools Foundation. Dr. Fisher’s educational philosophy focuses on educating the whole child, which includes expanding students’ horizons in the areas of academics, arts, and athletics. Along with the award presentation to Dr. Fisher, the Scholarship Gala will feature a three-course dinner, live entertainment from live band and Keynote speaker Alex Sands, Pastor of Kingdom Life Christian Center in Maudlin SC. Tickets are $40 per person and are still available by calling the Foundation's number at (864) 785-0880 or e-mailing MLKgala@gglapa.org. Sponsorship opportunities for the Gala are available until December 30, 2012. All proceeds go toward the Luke H. Chatman Scholarship for local high school students in Greenville county.